AutoMazar marijuana seeds are a remarkably heavy-yielding autoflowering hybrid between our legendary Mazar and a Ruderalis/Indica. Mazar is a triple prize winner, a best seller praised for its potency, high yields and soft taste. AutoMazar produces sticky, generously proportioned buds and grows to a height of 70 to 80 cm. 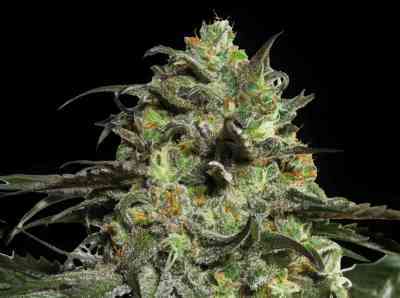 AutoMazar is a typical Indica, a strong-growing dense plant with big leaves and yields of 100 to 200 grams per plant. Best result so far is a plant that produced 900 grams outdoor in Southern Europe. It is a robust strain that is easy to grow and guarantees a heavy early summer harvest of superior quality when grown outdoors. The stable genetics ensure that AutoMazar is resistant to pests and diseases. The flavor and aroma of this resinous variety are that of an original earthy Indica. The intense “body-high” is very pleasant. AutoMazar is a must for all Indica lovers, not at least for it's tremendous yield. Highly recommended. Very easy to grow! Sweet taste, grow very easy !